This session, led by experienced culture change leaders, will focus on the implementation of culture change within the care environment. Understanding the knowledge, skills, and abilities required of each member of the care team to make this shift from the medical model of care to a person-centered, culture change model of care will be explored. The necessary steps to implement culture change will be identified. Participants will develop a list of tools that can be used for this implementation process that can be taken back to their work environment and used immediately in the process of implementing culture change. Sometimes the path of the culture change pioneer can be challenging, lonely and even a bit disheartening. Change occurs and we grow more adept when we persevere through the challenges, learn from our experiences and keep on embodying the values upon which the Pioneer culture is founded. Sometimes, we need a helping hand from folks who’ve been there before and worked the hardscrabble soil of resistance so the new culture could take root, thrive and proliferate. This special clinic for changemakers is designed to help you find solutions to the obstacles, questions and frustrations that result from your greatest challenges. The Guides are three founding pioneers who have had a major impact innovating culture change, transforming institutions and building our movement. Pioneer Network wants to officially welcome you to the 2017 conference, connect you with old and new friends, and share with you how to get the most from your conference experience. And special this year, Gregg Brandish, Deputy Associate Regional Administrator, Midwest Division of Survey and Certification, CMS, will join us to share the latest news on one of the hottest topics around, the new Nursing Home Regulations. What better forum can there be for sharing and exploring with your fellow pioneers than a Learning Circle? Meet old and new friends as we gather round the circle and share our thoughts on the following: As you have worked to make “Person-Directed Care Happen”, what has been your greatest challenge and what are you doing to overcome it? The Top 10 Reasons to participate in the walk. 6. Walking 30 minutes / day, 3 times a week is what we recommend for our Elders — why would we not want the same for ourselves? 1. It’s about doing something good for you, so BE A PART OF IT! Networking Reception and Pioneer Party! What can be more fun that gathering together with your fellow pioneers! Come celebrate our Sponsors and Exhibitors and thank them for their generous support. Visit with them to learn about innovative services and products, share your needs, challenges and ideas for future products and services to help you on your journey, enjoy appetizers and drinks,and perhaps you’ll be the winner of one of the great giveaways. But there’s more! Join us as we continue the celebration at a party hosted by Jack York and the team from It’s Never 2 Late. Dance to a live band, share your talents as you take the mic for a little Karaoke, enjoy a drink and of course, there will be CAKE! Band compliments of It’s Never 2 Late and The Eden Alternative. Twenty years ago, a group of nursing home pioneers gathered to begin the journey of changing the culture of aging in the 21st century. That first meeting has grown into Pioneer Network, a vibrant organization that provides networking, education, resources, advocacy and of course, our annual conference about all things culture change. Join us for the official convening of the Pioneers and the roll call of states and countries. Be inspired as you hear thoughts from those who were at that first gathering and hear wisdom from Elders who are living in care environments today as they share stories of how things have changed, how person-directed culture is happening! Be sure to check out the poster on display throughout the Exhibitor & Sponsor Gallery. Learn about the work being done by some of your fellow pioneers to further culture change in their organizations and beyond. Don’t miss the chance to talk with the authors of the posters on Tuesday from 12:00PM – 1:30PM, during the Exhibitor & Sponsor Gallery Hours. Posters will be available on static display during other Gallery hours. Looking for more networking opportunities? Then come back to the circle for more sharing! This time, you will explore with your fellow pioneers the following: As we look to Be The Future, what changes do we need to see as we move forward on this journey, be it related to staffing, environment, practice or anything else? A Conversation with Elders and Others…Like You! Listen and share with a panel of active, engaged, involved, and concerned Elders living in a retirement community. Hear their desires, frustrations, suggestions and together come up with some important items for Being the Future in elder services. We are all aging and hopefully we will live to a beautiful old age. What will the future hold? Hear from both youth, the future leaders of our movement, as well as from Elders who have led us to where we are today. 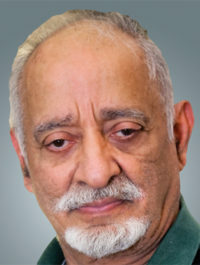 We are honored to have Dr. Vivian Tellis-Nayak, co-author, along with his wife, Mary Tellis-Nayak, of the book, Return of Compassion to Health Care, offer his thoughts on what we as individuals need to think about as we age into Elderhood. You will hear from Michael McCann, the Lifestyle Director for Friendship Senior Options, who provides leadership to a volunteer program that in the past year consists of over 450 volunteers completing over 9200 hours of service within the local community. This community outreach program has won the Leading Age Illinois Community Impact Award four times out of the past seven years (20172015, 2013, and 2011) for innovative outreach programs, as well as the School District 54 Community Partner Award (2012). 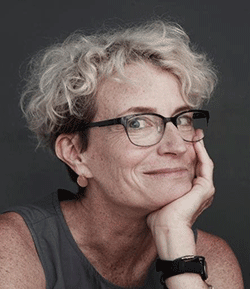 Then to close out the conference, open our minds and challenge us as we go forth in the future, is activist and author of the book, This Chair Rocks: A Manifesto Against Ageism, Ashton Applewhite who will share thoughts on aging and ageism in her presentation, Old ≠ Sick: How Ageism Warps Our View of Long Life. What a great way to send us off as we go on our way to Be the future! Join your fellow pioneers as we come together for an interactive brainstorming session to end the conference. Armed with the ideas and energy gained in the sessions and networking of the past 3 days as well as through our personal journeys, we will explore ideas for how we can advance the culture change movement over the next 20 years. What should it look like? What role will each of us play and what do you need from Pioneer Network to assure that the conversation and actions continue beyond the conference?